Nowadays natural fabrics are the biggest fashion trends and linen is surely one of them. Not only clothes, but also accessories, such as linen bags, made of natural fabrics are getting more and more popular. Bags made of linen fabric have two distinctive features – they are lightweight and usually have an interesting design. Linen fabric is soft, absorbs dyes easily and therefore allows the designers to implement their ideas easily. 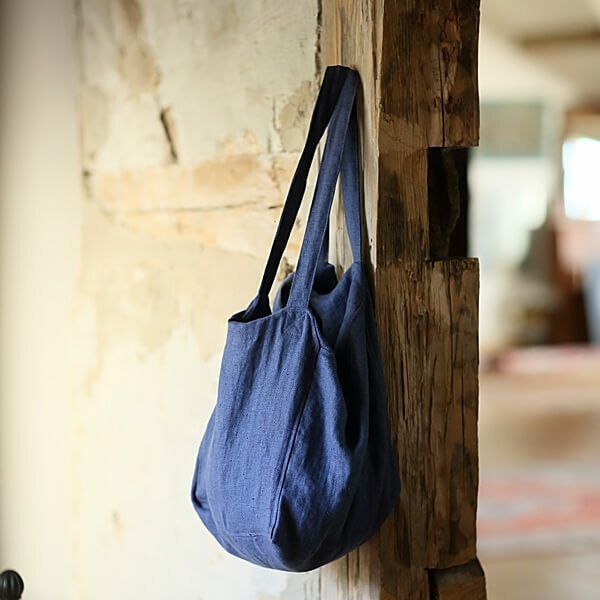 The design of linen bags from LinenMe is original and all of them are made of natural material – pure linen. They are functional as well as gorgeous – a perfect accent to your summer outfit. Owning a linen bag can come handy. You can use your linen bag to fit in a laptop, your papers, cosmetics and much more stuff that every woman needs to carry around with her. The design of all new linen bags is simple and yet elegant, and you can choose from a huge variety of colors. Double layers of bag sides and a soft cotton filling between them allows the bag to keep its shape and protect the things inside from being hit. There are even more benefits of using a linen bag. Lightweight linen bags can be used as shopping or grocery bags, since they don’t take much space and feel very comfortable on your shoulder. Planning a day at the beach? Grab a lightweight linen bag, put in a linen towel, a bottle of sunscreen and you are ready to go. You can carry a colorful linen bag when you are wearing almost anything – from jeans and a pair of sneakers to a short summer dress and a pair of flip flops. A linen bag is a great gift, since it is the latest fashion trend.